Marijuana advocates are suing the county over its voter-approved tax on marijuana, arguing the results are not legitimate. Specifically, the group is arguing that Measure AI proposed a tax that amounted to a special tax, not a general tax. For this reason, the measure required not just a simple majority, but a two-thirds majority approval. When the measure passed by voters in November, it amounted to a tax of between 2.5 percent and 10 percent on the gross receipts of cannabis cultivators. It also imposed on all other marijuana businesses a flat-rate tax of $2,500 annually. An advisory that was attached to this measure indicated that voters wished to have this money spent on county services. Specifically, this would include not just code enforcement on marijuana businesses, but also emergency medical services, fire and police services, repairs of roads and mental health services. This was a non-binding agreement, though, and county leaders technically can spend the funds on whatever they wish. A marijuana attorney for the plaintiffs argues that although the description of the measure does include most county services, it’s far too specific to be a “general tax.” That means it should have been considered as a special tax, which would have required 66 percent of the vote. However, the measure only received 64 percent of the vote. It’s the exact same argument being used in a similar lawsuit against the city of Ukiah, which also approved a sales tax on marijuana. In that instance, the measure was accompanied by an advisory indicating taxpayers wanted the money to be spent mostly on road and traffic improvements. Plaintiff attorneys argue these kinds of “double measures” are a sneaky way for local governments to side step the more stringent voting requirements of special taxes. Beyond this argument, plaintiffs say the law is fundamentally unfair. In essence, what it does is require those in the industry who follow the law to the letter to foot the bill for those who flout it. However, the Mendocino county supervisor is standing by the vote. He told the Press Democrat that other challenges had been raised regarding the “special tax” rules in the past, and all of those failed. What’s more, he argues plaintiffs simply aren’t happy with the fact that they skated by without paying taxes for decades and now that’s about to change. 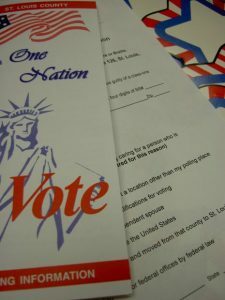 Los Angeles County voters had been slated to consider a tax initiative on the November ballot last year. However, county supervisors pulled an initiative they had previously approved, which would have resulted in a 10 percent tax on gross receipts of marijuana businesses, which would specifically direct money to housing and other services for the homeless. Analysts for the county had opined the marijuana tax would have eventually drummed up somewhere between $78 million and $130 million annually (though collection wouldn’t have begun until 2018). However, the county later pulled it back – not because of any opposition to do with a special tax requirement, but because some homeless service and drug treatment providers feared the county would be viewed as promoting the legalization of marijuana.